It’s scallop season in Port St. Joe, Florida! This year the season began on July 1 and ends on September 24. It was extended a little this year and the scallops are plentiful. 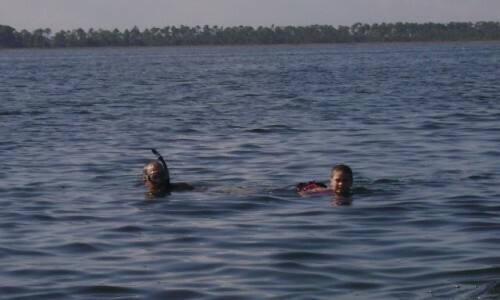 4 people can have a fun scalloping trip for around $200. Bring your own snorkeling equipment and we’ll find the scallops! Schedule your trip now before the season runs out. Don’t forget there are other fishing activities as well. 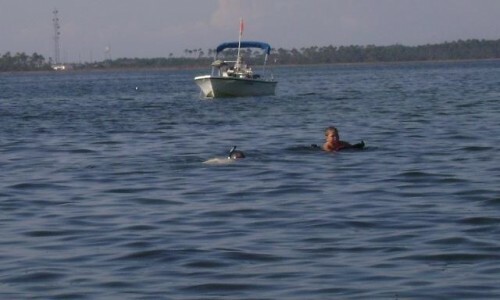 Captain Mark and grandson Payton snorkeling for scallops in St. Joe Bay. Kaydence wants to give it a try! There are lots of activities going on around Port St. Joe and the Florida Panhandle this time of year. Visit Gulf County Facebook page for more information.